Isn't this from Descendants of Darkness (not Mirage of Blaze)? I agree with you that he is super, super creepy. WAAAH! Yes, you are so right. Changing it now. I was really, really tired when I posted...but that's no excuse. Okay, fixed. Although I noticed I used the Japanese title Yami No Matsuei in the tags. What is wrong with me? Wha! 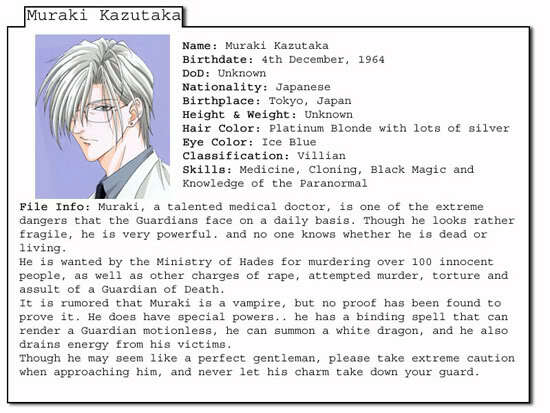 Dr. Muraki is so villainous he transcends the manga he is in. He is a truly evil mofo. Maybe he should be in every manga, just lurking in the background waiting to say something creepy and horrible.